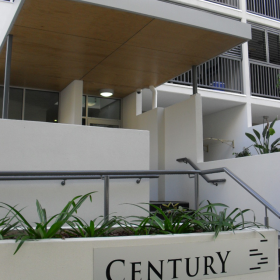 Brisbane Housing Company in a joint venture with Queensland Cricket commissioned Lambert & Rehbein to design an 11 storey building with thirty three (33) bedsit and one bed apartments for affordable housing on the lower three floors along with thirty eight (38) one and two bed apartments on the upper 7 floors. A three storey building was also constructed at the rear of the site to provide two (2) townhouses. Parking was provided on ground and throughout the basement level. L&R was engaged to provide Structural Engineering services for the design of this project and then were novated to the contractor, Hindmarsh to complete the construction stage services. The project included one level of basement with permanent bored piers and shotcrete walls around the entire perimeter with a slab on ground floor. The upper floors of the building were framed using reinforced (and post tensioned for the ground floor slab) concrete slabs supported on a combination of concrete columns, walls and reinforced masonry block walls. Ritek formwork was used exclusively on all the floors above ground to provide load bearing reinforced concrete walls. Roofs to the main apartment block were formed in lightweight steel construction and the townhouses with timber trusses.